Diana Koerner’s background is in Tourism Management (BA, IMC University of Sciences Krems and MSc, Skema Business School France) with a specialisation in environmental tourism management issues. After a work experience at UNEP´s Global Partnership for Sustainable Tourism she joined mascontour GmbH, a Berlin based international sustainable tourism consultancy. Since then she has been involved in projects on tourism policy (10 Year Framework of Programmes), marketing and PR (National Tourism Organisation of Serbia, Danube Competence Centre), sustainable supply chain management (KAZA area) and capacity building (nature conservation, agrobiodiversity and tourism in Albania, Georgia), among others. 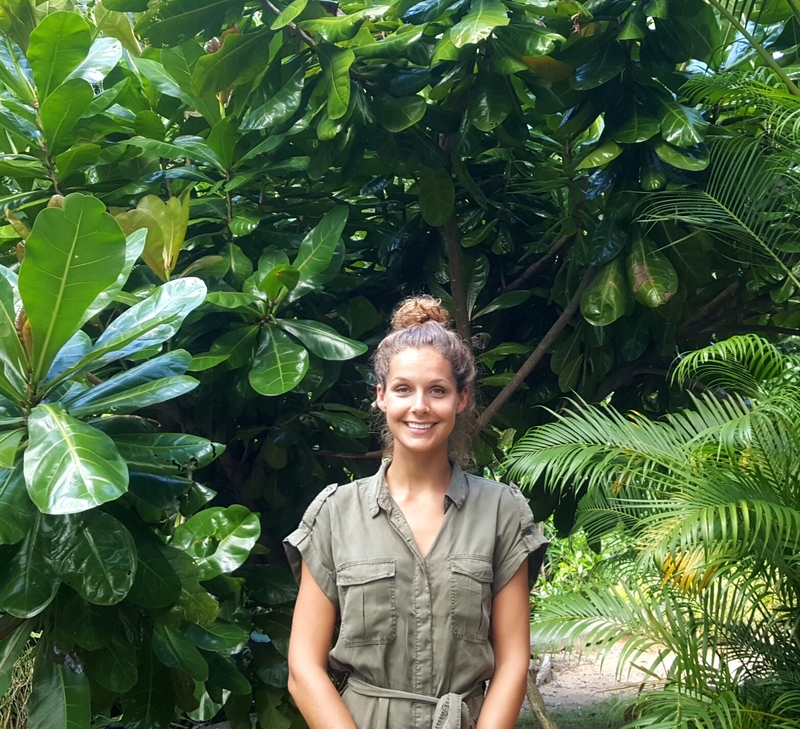 She speaks four languages and is a passionate sustainable tourism advocate, looking to connect with colleagues from around the world to exchange project experience and find possible collaborations in the Indian Ocean region. Currently she is based on the island of Mahé, Seychelles, where she is experiencing firsthand the challenges and positive examples in linking tourism and conversation in a sustainable way. Diana, you are a member of LT&C and since long time experienced in fields of Sustainable Tourism. Where or how does LT&C fit into your activities ? One of the aspects that I enjoy most about working in the field of sustainable tourism is to connect with like-minded, passionate people from all over the world and share ideas and project experiences. For me this is one of the main reasons why I joined LT&C, to be part of its international network and exchange and meet with penguins. Since many years I have been interested in learning more about how to build successful synergies and relationships between tourism and conservation. LT&C´s best practice examples are very inspiring and useful examples that I can use in my work as a sustainable tourism consultant when interacting with different stakeholders through trainings, workshops or presentations. You are presently based on the Seychelles. Are you involved in any activities related to the International Year of Sustainable Tourism for Development? I am currently supporting the implementation of the Seychelles Sustainable Tourism Foundation (SSTF), a platform that brings together the public, private sector, academia and NGOs in the Seychelles to work together for a holistic sustainable tourism approach, mainstreaming and scaling up existing best practices, to ensure that the entire Seychellois tourism industry goes green. The foundation is newly set-up (March 2017) and we are currently working on establishing an action plan based on Global Sustainable Tourism Council (GSTC) criteria involving board members from a variety of different fields and backgrounds. One of our main activities for 2017 in the framework of the UN Year, will be the hosting of a Regional Conference on Sustainable Tourism in Small Island Developing States, which we are organizing with the support of the Seychelles Ministry of Tourism. The conference will take place beginning of December 2017 at the University of Seychelles and one of the main conference themes will deal with sustainable tourism in protected areas. We aiming to make the conference a networking and exchange opportunity for practitioners and academics, with high relevance for the private sector, by presenting and discussing practical solutions. As soon as we have more details, I will gladly share the conference information with fellow penguins, as it will present a great opportunity to showcase LT&C examples with relevance for SIDS. In what way could the Seychelles as a whole or specific cases there be described as an LT&C-Example, where tourism is supporting protected areas? With the foundation we are aiming to ensure that Seychelles as a whole can be considered as a LT&C example in the future, among other by aiming for a GSTC certification at destination level in the next 5 years. At the moment there are numerous initiatives carried out by NGOs, foundations, or private sector projects that are well known in the international community for their sustainable tourism approach in protected areas. As you know, North Island just won the National Geographic World Legacy Award for example. My partner Ben, also a penguin, works for WiseOceans, an NGO that is building more private sector cooperations which support conservation, e.g. through education activities, fundraising and awareness raising. Indeed a major responsibility lies with the private sector and there are many committed hotels and businesses supporting conservation here in Seychelles. However, there is still a lot of work to do in terms of triggering a long term change in behavior among tourists and locals and respecting the laws and regulations that are in place in protected areas. There is a need for stronger enforcement mechanisms, e.g. in terms of littering and fishing in PA, but also the creation of sustainable tourism offers in PA should be encouraged, giving ownership and pride to Seychellois and secure long term sources of income for conservation. Are there plans for more or larger marine protected areas, which could be supported by tourism and therefore described as a new initiative to become an LT&C-Example ? The government of Seychelles made the commitment to establish 30% of its Exclusive Economic Zone (EEZ) as MPA (400,000 km2), with 15% as so called “no-take” zones by 2020, which is part of the marine spatial planning (MSP) work, which is the first comprehensive marine plan in the Western Indian Ocean. The initiative has direct links to tourism, as the management of these new parks will need the support of the tourism private sector. The MSP involves a mapping of all economic activities in the EEZ. Tourism leisure activities form an essential part of it e.g. diving, snorkeling, swimming, yachting, floating hotels, so the implications of the MSP will also directly impact tourism. 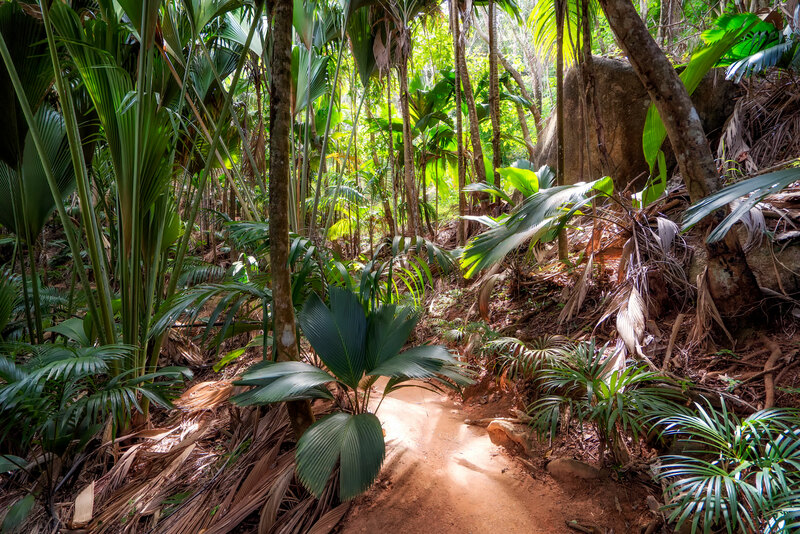 What role do the Seychelles play among the Small Island Developing States (SIDS) in terms of setting best examples of sustainable tourism and nature conservation, and could such examples be replicated in other SIDS? 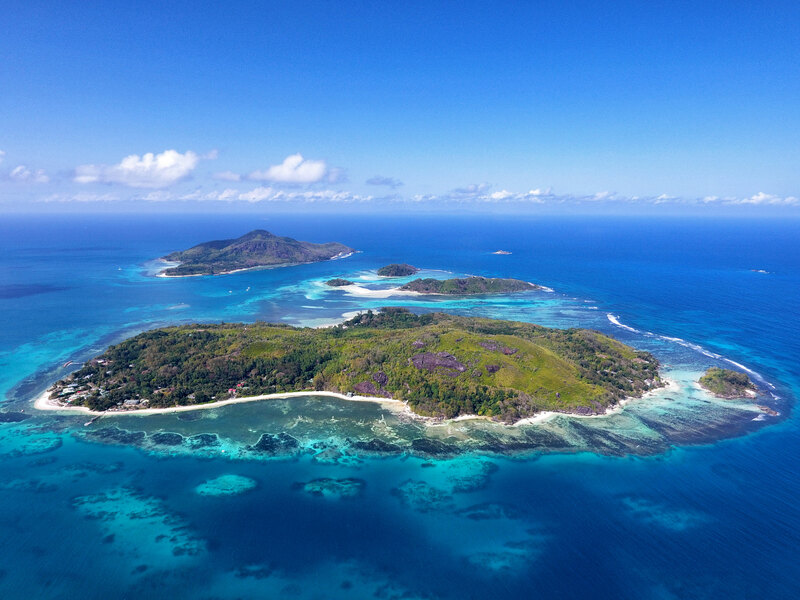 The Seychelles have a leadership role among SIDS for their existing best practice examples in terms of the management of its UNESCO World Heritage Sites Vallée de Mai and Aldabra, which rely on tourism activities to support conservation. As well as several successful island management models with examples including, North Island, Bird Island, Cousine Island, Cousin Island Special Reserve, Frégate Island and Curieuse, each having their own sustainable tourism and conservation management approach. Also, the Seychelles have been one of the major driving members of the SIDS initiative of the Organisation Internationale de la Francophonie (OIF), which works with 11 SIDS members around four major pillars (governance, regulation, technical support and promotion) on a global strategy for its members, ambassador working groups, strategy guides and pilot projects at national and regional level.